Disney’s Beach Club Resort is one of the deluxe resorts at Walt Disney World located near the Boardwalk between Epcot and Hollywood Studios. While it shares certain amenities with the Yacht Club, it is its own hotel, and often one people consider as an alternative to the Yacht Club or BoardWalk Inn. 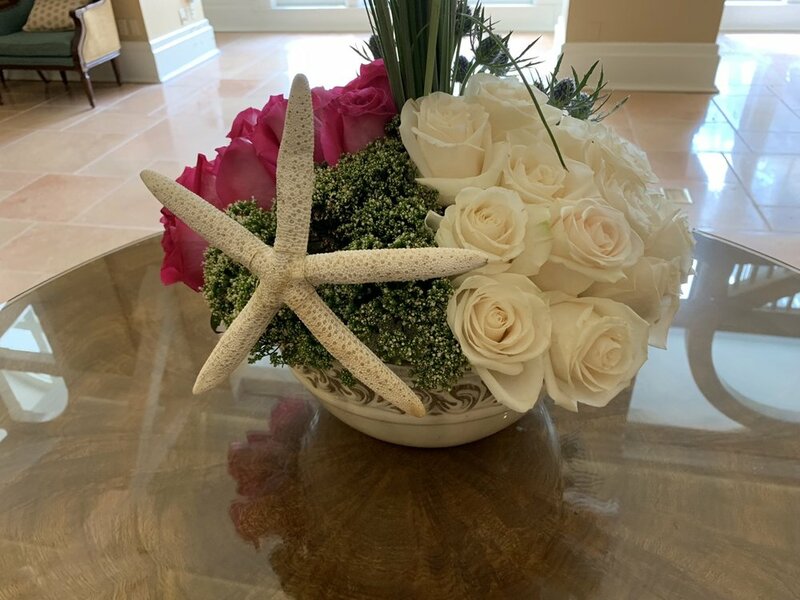 In this review, we discuss everything you need to know about Beach Club, from booking to our room to restaurants and recreation! For 2019, Beach Club rooms start at $452 per night. Between standard offers and maybe discounted prices at Expedia or Priceline, there may be times when rates get down to $350 or even $300. 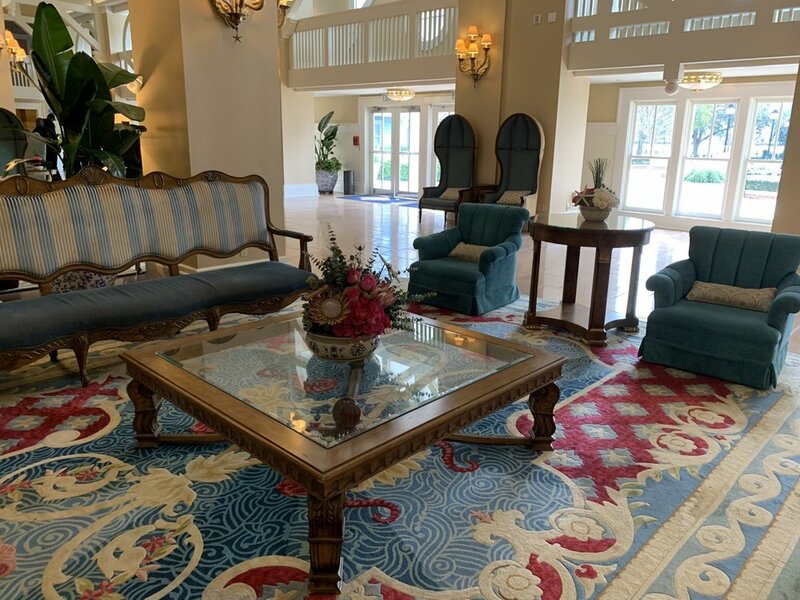 Guests at Disney hotels—including Beach Club—get a wide range of perks, including Extra Magic Hours and advance FastPass+ booking. Beach Club’s biggest perk is its location, which leaves you within walking distance of Epcot (7 minutes), several resorts, the Boardwalk, and Hollywood Studios (20 minutes or 12 by boat). We arrived via Uber from our nearby apartment. Most guests will arrive via Disney’s Magical Express shuttle service from Orlando International Airport. There was no line at check-in (there usually isn’t when we arrive before noon), and we were quickly identified by the Cast Member as Club Level guests. We were escorted up to the Stone Harbor Club Lounge, Beach Club’s Club Level lounge, where we completed check-in. Our room wasn’t ready yet given our 11:30AM arrival. 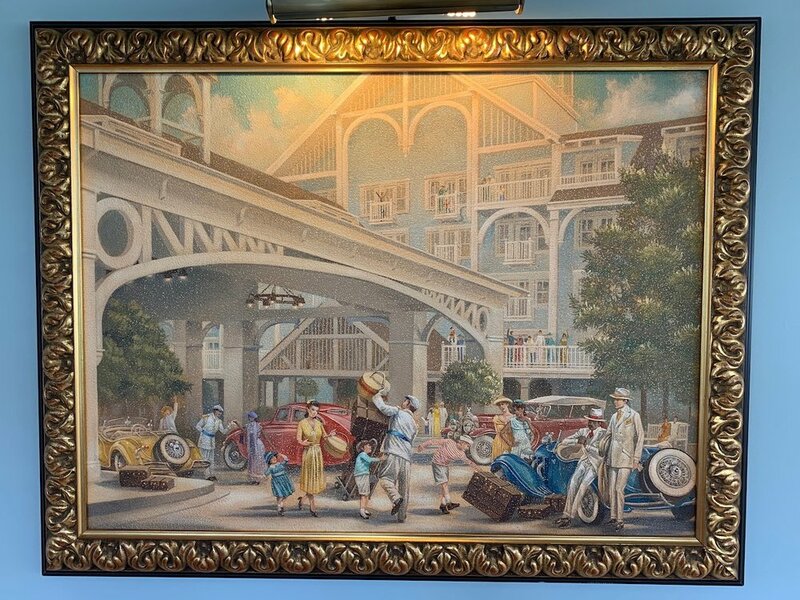 It’s common that Walt Disney World hotel rooms aren’t ready if you arrive before 3PM. 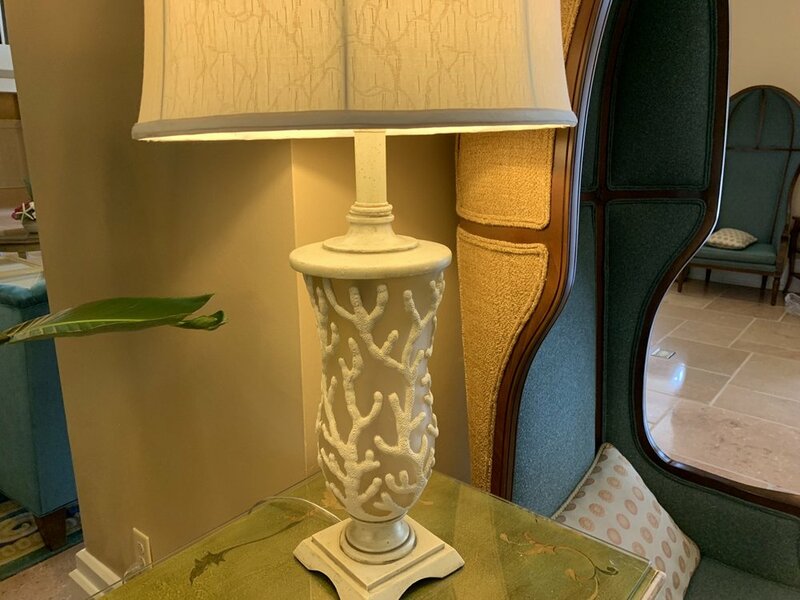 If you check in online or arrive and your Beach Club room isn’t ready, you can easily drop off your stuff with bell services and walk over to Epcot or Hollywood Studios for lunch and some afternoon rides. We grabbed some quick snacks at the lounge and then headed over to Epcot. Beach Club and Yacht Club, while they are separate resorts, are connected and share a pool (this isn’t a downside in our experience, more below). For this review, we’re going to talk exclusively about Beach Club’s offerings. As we emphasize repeatedly, all of Yacht Club, Beach Club, BoardWalk Inn, and the Swan & Dolphin are within walking distance. One loop around the Boardwalk, which takes you past all those hotels, is 0.8 miles. Since everything is in one building over five floors, no room is really far from the amenities. It’s about a two-minute walk from the farthest end to the feature pool. Beach Club is marketed as a “New England-style” resort. 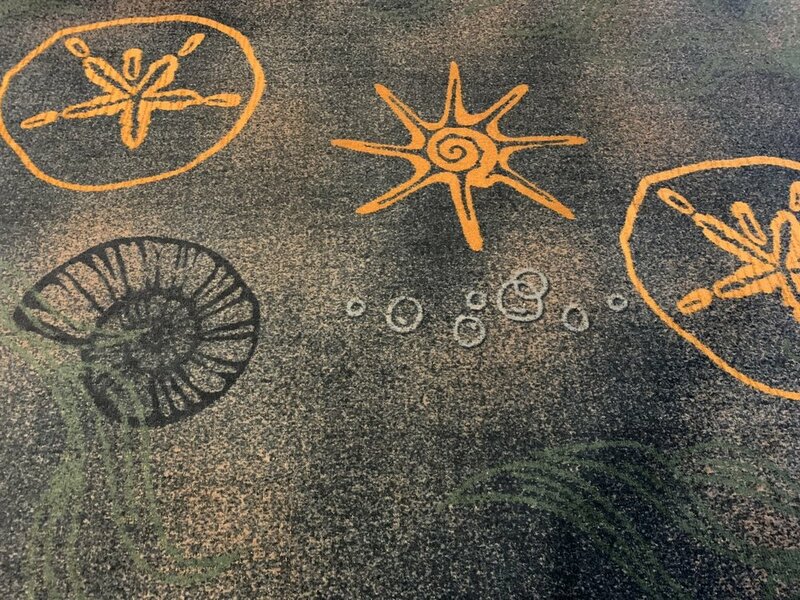 Really, I think it might be accurate to describe the theme as “sea” or “beach and sea.” The detailing throughout focuses mostly on things like starfish, seahorses, shells, and sand. The feature pool at Beach Club is Stormalong Bay, the pool shared with Yacht Club and widely regarded by experts as the best pool on Disney property. Stormalong Bay features a lazy river, a sand-bottom zone, and a water slide. We don’t want to belabor this point, but Stormalong Bay (above) is one of the biggest reasons to stay at Beach Club (or Yacht Club), and it makes the hotel particularly good for planning a resort day. If you’re not a pool person, then obviously this shouldn’t impact your decision, but it is a major highlight of the hotel. The Beach Club rooms last underwent major work in 2015/2016. Overall the rooms speak for themselves, with sort of a muted, “beach-minimalist” design. The renovations clearly show, as there are numerous small, modern features we appreciated, like prevalent outlets and a Keurig machine. The bathrooms still have the “old” design of a shower curtain and swinging door, neither of which I’m a big fan of. Our garden view overlooked the entrance, which gave us peeks of the Boardwalk and Stormalong Bay pool. Beach Club has one of the best locations on property. Along with Yacht Club, BoardWalk Inn, and the Swan & Dolphin, this is one of the few hotels you can actually walk to two parks—Epcot and Hollywood Studios—from. Epcot’s World Showcase is about a four-minute walk from the Beach Club lobby. Hollywood Studios is about a 22-minute walk from the Beach Club lobby. Keep in mind that when visiting Epcot, you’ll be using a different entrance than other guests. the World Showcase entrance is between the U.K. and France pavilions. We briefly discuss this in our Epcot FastPass+ and Rope Drop Strategy. Besides the two parks, you can also walk to all those other hotels and any other spots along the Boardwalk, which has restaurants like Flying Fish and ESPN Club, as well as a pretty good bar in AbracadaBar. 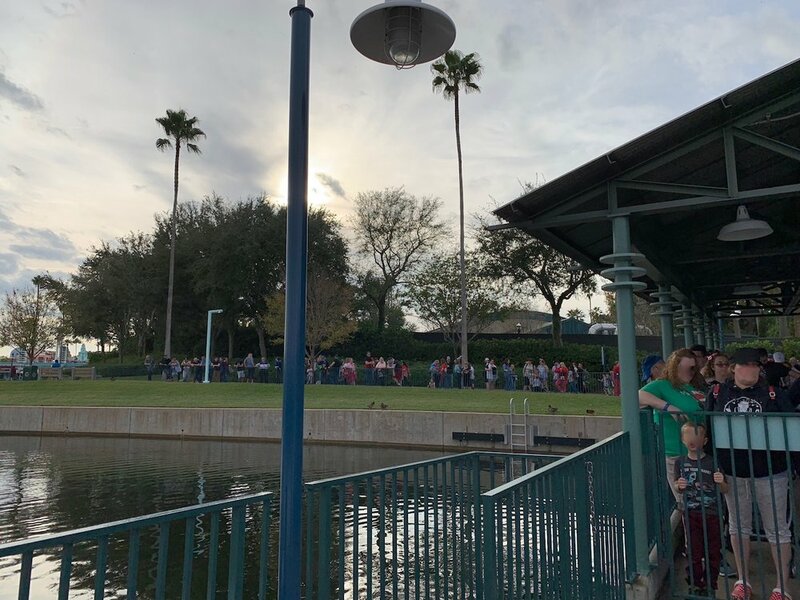 Besides walking, you can take a boat to Hollywood Studios (approximately 12-minute trip, running every 15 minutes) and Epcot (about 5-7 minute trip). For the most part, we stopped using the boats years ago (we walk), but we occasionally ride them just to keep tabs on them. To reach Magic Kingdom, you’ll have to rely on bus transport. Keep in mind that although you can walk to Epcot, you use a different entrance than the main entrance, so it isn’t practical to walk to Epcot and take the monorail to Magic Kingdom. And, as always, to Animal Kingdom, Typhoon Lagoon, Blizzard Beach, and Disney Springs you’ll rely on bus. We always recommend you also consider using Uber at Walt Disney World. Finally, keep in mind that if you’re flexible, you can always hop on a bus for BoardWalk or Yacht Club and walk back to Beach Club from there. Swan & Dolphin are a bit of a longer walk, but still doable. This won’t always save you time, but particularly in the middle of the day (when bus transport is at its worst), if you see a bus to Yacht Club or BoardWalk, hop on it. From Beach Club you can easily walk to all the restaurants of Yacht Club, the Boardwalk, the Swan & Dolphin hotels, and Epcot. This means you’re not constrained to just the restaurants we mention here. Like Yacht Club, Beach Club has one small quick service shop in its main store and the shared pool bar, Hurricane Hanna’s. We’ll spare you our rants on the poor state of deluxe resort quick service, assuming you’ve read it elsewhere. The Beach Club Marketplace is the Beach Club’s store in addition to offering a very limited selection of quick service food. The Marketplace is usually open a bit after the parks close, between 10PM and Midnight. The full menu is here. Hurricane Hanna’s Waterside Bar & Grill is the pool bar (and grill) at Yacht Club and Beach Club. It has an okay lunch menu, which includes burgers, a buffalo chicken wrap, and a vegetarian quinoa wrap. Hanna’s closes earlier than Market, usually around 8PM to 9PM. Beach Club has three table service restaurants. We’ll provide brief overviews of them and link to reviews we trust. Our limited experiences with them (and our limited food knowledge generally) don’t qualify us to really speak to their quality. 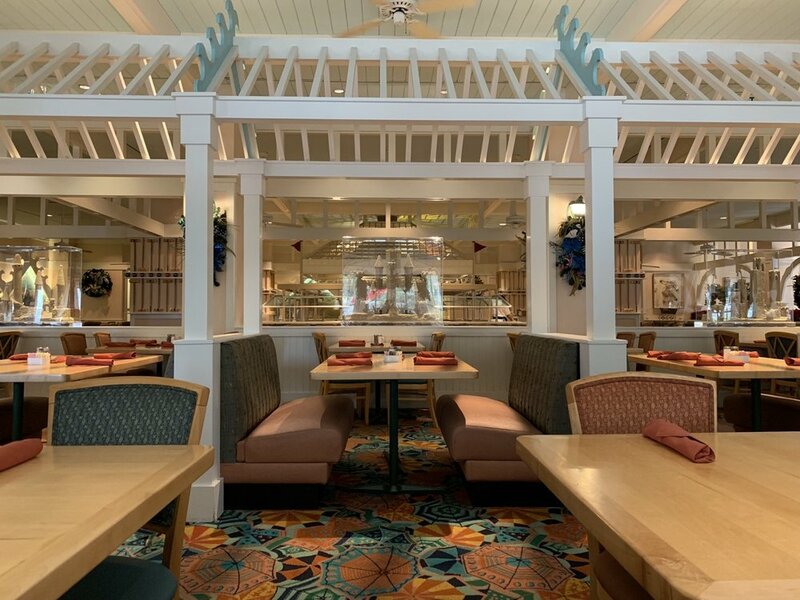 Technically located in Yacht Club, Yachtsman Steakhouse is the signature table service restaurant at Yacht & Beach Club, requiring two table service credits. It’s open only for dinner. If you walk from Beach Club past Cape May Cafe, outside, and over to Yacht Club, the first spot inside Yacht Club you’ll pass is the Yachtsman. Reservations are highly recommended. Here’s a review from Ziggy. Beaches & Cream is a fun little soda-shop themed spot right on the border of Yacht Club and Beach Club, off the Stormalong Bay pool. It’s most known for its legendary “Kitchen Sink” dessert—an ice cream sundae designed to serve four—but it also serves burgers, sandwiches, and a variety of alcoholic ice cream floats. In the past, it didn’t take reservations but now does, mostly because it has very limited seating. Here is a review from Disney Food Blog. Besides Hurricane Hanna’s which is a combo pool bar-quick service stop, there are two bars at Beach Club. Martha’s Vineyard is a lounge as the far end of Beach Club, almost by the exit over to Yacht Club. It’s marketed as an east-coast winery style spot, but it’s mostly a typical Disney hotel bar. We include Crew’s Cup as a Beach Club bar only because we included Yachtsman as a Beach Club restaurant. Crew’s Cup Lounge is the bar attached to the Yachtsman Steakhouse It’s actually easy to miss if you’re not eating at Yachtsman, as the sole hall-facing door is a bit hidden. Like every Disney hotel, Beach Club maintains a schedule of daily activities for those who don’t want to spend every second at the parks. Around Crescent Lake, you’ll also find boating activities, surrey bike rentals, and carnival games. We previously mentioned Beach Club Marketplace as a quick service option, but it’s also the store at Beach Club. As with all Disney’s hotel stores, it offers basic travel essentials as well as a limited selection of hotel-branded items. Beach Club is one of the Disney resorts we have a long history with, but nowadays it doesn’t really stand out to us in either a good or bad way. Typically, people wonder whether they should stay at Yacht Club or Beach Club. 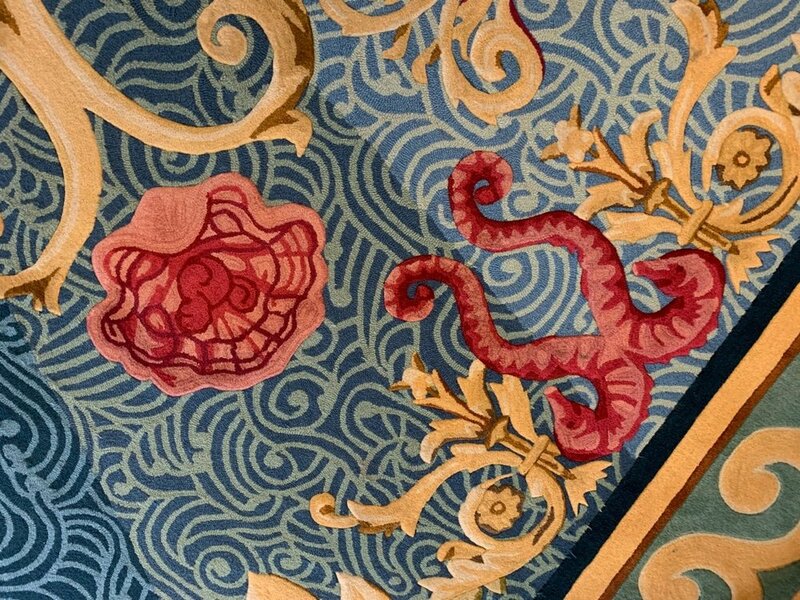 If room rates are equal and you’re not picky about theme, then the choice is easily Yacht Club because of its superior rooms (unless of course you just don’t like those rooms). 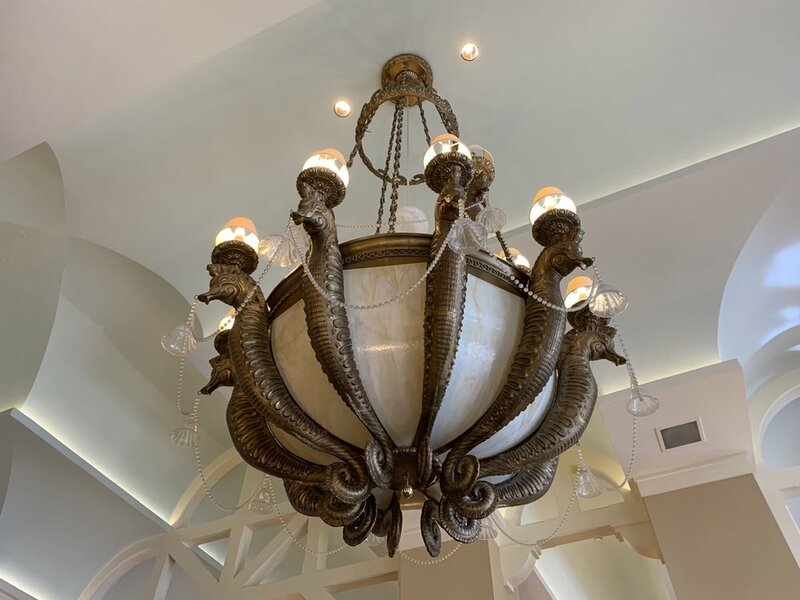 There are differences in theme, and as we’ve previously written, Yacht Club tends to attract the attention of convention guests, which can busy up its lobby, bars, and restaurants after convention hours. But if Yacht Club is too busy for you one evening, you can easily walk over to the Beach Club or anywhere on the Boardwalk. The other hotel to compare Beach Club to is nearby BoardWalk. This is another close one that comes down to taste, but we much prefer BoardWalk’s rooms, whimsy, and slightly better location. Yes—Beach Club has the way better pool and slightly more functional rooms. Overall, we aren’t itching to return to Beach Club, but that doesn’t change the fact that it’s a very solid option.